The following review is for a product called Candida Balance with Colostrum Plus and will inform you of the facts. This product claims to help detox your intestinal tract, sustain a healthy immune response and benefit the maintenance of your general immune health. 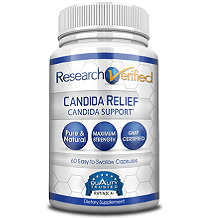 It also claims to assist with controlling and encouraging balanced levels of Candida albicans and the health of intestinal flora by promoting the growth of good bacteria. Colostrum contains antibodies that boost your immune system, fix nervous system damage, enhances your mood and increases vitality by combating bacterial, viral and fungal infections. Immunoglobulins are antibodies found in body fluids such as blood that naturally defend you against infections and also promote a strong immune system. Proline-rich polypeptides are proteins that allow your immune system to recover and correct its ability to fight autoimmune disease. Lactoferrin is a protein found in milk that shields you from bacterial infections by preventing the growth of bacteria. The proprietary blend used contains Lactobacillus acidophilus, Lactobacillus plantarum, Bifidobacterium longum, Bifidobacterium bifidum, Lactobacillus casei, Lactobacillus brevis, Streptococcus thermophilus, Lactobacillus rhamnosus, Lactobacillus bulgaricus, Lactobacillus salivarius, Bifidobacterium breve, Lactobacillus paracasei, Bifidobacterium lactis, Lactococcus lactis. Bifidobacterium is a bacteria found in your intestines and is required for preventing intestinal issues. This product is gluten free however, it does contain milk. It is recommended that you should take two capsules twice a day. These capsules should be taken with water and also advisable on an empty stomach. It is also suggested for you to triple this dosage during periods of physical or environmental stress. Some of the ingredients used to formulate this product may cause side effects such as allergic reactions, rashes, and itching. The manufacturer advises that if you have a diagnosed health condition you should consult your doctor before using this product and that if side effects occur you should discontinue use and consult a doctor. You can purchase this product online in a bottle that contains 120 vegetarian-friendly capsules for $26.49 as listed on the manufacturer’s website. It is slightly disappointing that there does not seem to be any discounted options available. Unfortunately, if you are not fully happy with the results after using this product, there is not any kind of money back guarantee offered and it seems there is no refund policy available which is rather worrying and may also question the general effectiveness and quality standards of this product considering that the lack of guarantee could suggest that the manufacturer does not completely endorse the importance of customer satisfaction. Considering that the dosage instructions for this product are clearly advised and that it is formulated using some good ingredients that may be beneficial for maintaining immune health and balancing intestinal flora, it may be regarded as a relatively ok product. However, it is significantly disappointing that there is no manufacturer’s guarantee or return policy offered nor does there seem to be any customer reviews available on the manufacturer’s website. 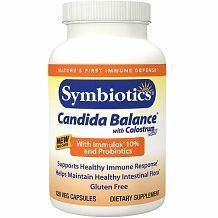 Candida Balance with Colostrum Plus does contain allergens and also has significant possible side effects which may indicate that this product is unfortunately, not suitable for many people.